The South Hills of Pittsburgh's most convenient location The Crowne Plaza Hotel and Suites Pittsburgh South hotel is situated in the heart of the beautiful South Hills, only 7 miles from downtown Pittsburgh and nearby a wide range of local attractions and companies. The Crowne Plaza Hotel and Suites Pittsburgh South boasts expansive suites and a modern, yet welcoming lobby, restaurant and bar. The design is architecturally dramatic and reflects our reputation for providing guest experience above the bar, along with upgraded complimentary internet access and Wi-Fi. We are adjacent to South Hills Village Mall, one of the most sought after shopping areas in the city. Our South Hills Pittsburgh hotel provides the ideal place to enjoy local sports action. Less than eight miles from the PPG Paints Arena, PNC Park and Heinz Field, our guests can catch Pittsburgh Steelers, Panthers, Pirates and Penguins games. The Rivers Casino is also nearby. All of these attractions are easily accessed by the Light Rail transit which originates within a quarter of a mile of the hotel. 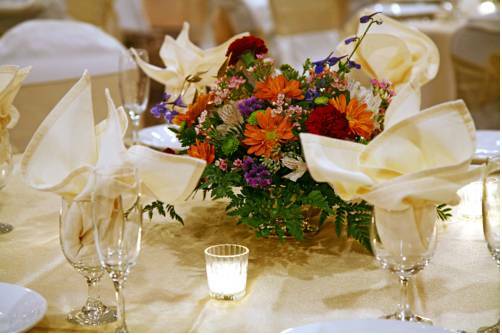 If youre searching for the best event space Pittsburgh has to offer, look no further than Crowne Plaza Hotel and Suites. Our hotel boasts 14,000 square feet of flexible space thats perfect for weddings, meetings, conferences and more. With a business center and Meetings Director, well ensure that your function runs smoothly from start to finish. Bonefish Grill: Located across the street from the hotel, Bonefish Grill offers a great variety. They specialize in seafood, but they also offer a variety of other items and have an inviting bar area including outdoor dining. Gather Restaurant & Bar: Relax at Gather Restaurant & Bar where you can savor your favorite beer or cocktail while you watch the game or chat with friends. Tanger OutletsTanger Outlet Centers are home to the nation's leading brand name manufacturers and premium designer labels. You will discover a world of savings on the best brand names in the country. The Meadows Racetrack and CasinoHarness racing and Casino.